A stylish and modest bag perfect for keeping all your grooming products in one place. This sturdy bag comes with a generous amount of space and six open pockets that are perfect to hold all your lotions and potions. Inside the bag features an easy-to-clean lining, alongside a zip pocket with a name identifier and a space for your valuables. 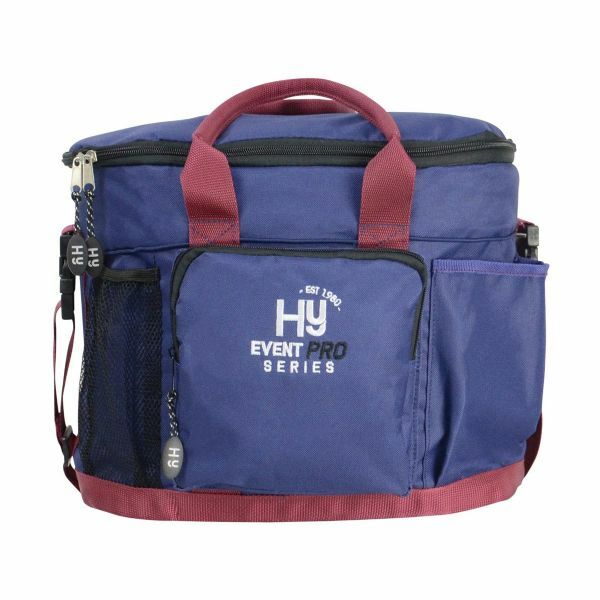 The bag is finished with a reinforced base and studs to prevent damage and a Hy Event Pro Series logo embroidered on the front. Part of the Hy Event Pro Series collection.